College kids are not the only ones who enjoy spring breaks. Judging from what I saw at several Pinehurst, North Carolina golf courses this past week, plenty of male golfers of a certain age also enjoy a short vacation to mark the end of winter’s doldrums. I joined Kevin Conlon and Nick DelCampo, two other Cape Region golfers, on an overnight ride to the famous resort community. We planned to reach our destination well-rested and in time to warm up for our opening noontime round with nine other buddies at Talamore Resort, in nearby Southern Pines (800-552-6292). The plan worked very well. However, our golf games still showed signs of winter rust. Talamore advertises to prospective golfers how hilly the course is by offering llamas as “caddies” to carry the golf bags. There were unmistakable signs (and smells) of the Andean pack animal, but I didn’t see any of them working with any foursomes. Nonetheless, the point about the elevation changes is well-taken. 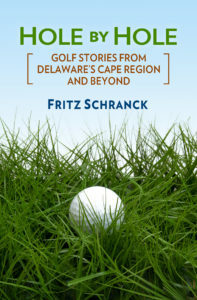 The uphill, downhill, and sidehill lies were more severe than anything experienced on the relatively flat contours of Cape Region golf courses. The next day we played Hyland Hills Golf Club, just off U.S. Route 1 in Southern Pines (888-315-2296). According to a staffer at another course we played, Hyland is one of the busiest golf courses in the Pinehurst Area. Last season all of the greens on the course were damaged by fungus, however, and were completely replaced. The new greens are still pretty rough. It seemed to me that with only one 18-hole layout on the property, the owners may have been forced to re-open the course before the new turf was ready for the foot traffic. The overall design presented several great views of the Sandhills region, however. In addition, on most holes the challenges facing the golfers were easy to see, something that not all resort layouts succeed at doing. Even so, I’d suggest waiting another year to let the greens recover before recommending anyone try this course. Our third round was a return trip to The Pit Golf Links in Pinehurst, where I’d shot an even 100 on two previous attempts (800-574-4653). Course architect Dan Maples’ unusual design winds down and through a former borrow pit, with startlingly steep mounds and wide-open ponds inviting errant shots to boost one’s score and deflate one’s ego. I managed to improve my average, but only barely. Many of the mounds are now covered in vegetation that wasn’t there when the course first opened. If it were up to me I’d take a bulldozer and a chain saw to several locations. Even so, most of us actually like the course, despite its effect on our scores. Maybe golfers are more masochistic than they care to admit. We took a ride the next morning to nearby Foxfire Village and played the East Course at Foxfire Resort & Golf Club (910-295-5555). The day didn’t start out on a promising note. The practice range ball dispenser was completely empty, and no one seemed to know who might be convinced to re-fill it. On the other hand, once we began playing, our group was pretty impressed. The design presented a wide variety of challenges, and the greens were in good shape. We finished our trip with a return to The National Golf Club in Pinehurst (910-295-5340) [Now Pinehurst No. 9]. I remembered this Jack Nicklaus design as a frequently brutal course for mid-handicappers. My memory was correct. I must admit, however, that it wasn’t solely the course’s fault. I gave myself several chances to not only fail, but to fail spectacularly. For example, DelCampo watched me try to make a 165-yard shot over a pond on the approach to the par-five 10th hole. According to him, by plunking two balls in succession in the water about three yards short of the green, I’ve earned a new nickname–Tin Cup. Fans of the Kevin Costner movie will perfectly understand.